Aromatically, the Rattlesnake displays notes of lime and frangipani blossoms, white peach, fresh ginger, cape gooseberry and melon on the nose. 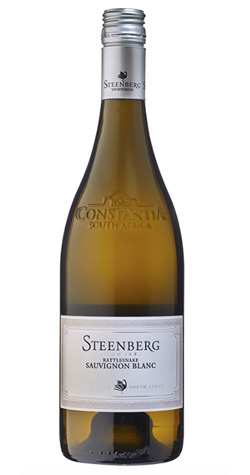 On the palate, this wine is vibrant with a fresh and zesty acidity. The 2017 Rattlesnake has a pale white-gold color with light green nuances. Aromatically, the Rattlesnake displays notes of lime and frangipani blossoms, white peach, fresh ginger, cape gooseberry and melon on the nose. On the palate, this wine is vibrant with a fresh and zesty acidity that gives structure and longevity along with the fruit. With time, the lingering richness of the wine will come to the forefront and will continue to evolve over the next 7 years. The 2017 Rattlesnake is made up of 100% Sauvignon Blanc. Carefully selected vineyards will make their way into this wine. We look for vineyards portraying a rounded mouth feel that will hold its own during fermentation. The wine was fermented and aged in large format French oak barrels (42%), stainless steel (51%) and a concrete egg shaped tank (7%). Some of the juice was inoculated with a selection of commercial yeast strains while the rest of the juice fermented spontaneously due to the yeast population naturally occurring in our vineyards and cellar. The wine spent a total of 8 months in French oak (500 and 600l barrels), stainless steel and concrete (fermentation and élévage) before the first bottling took place in September 2017.